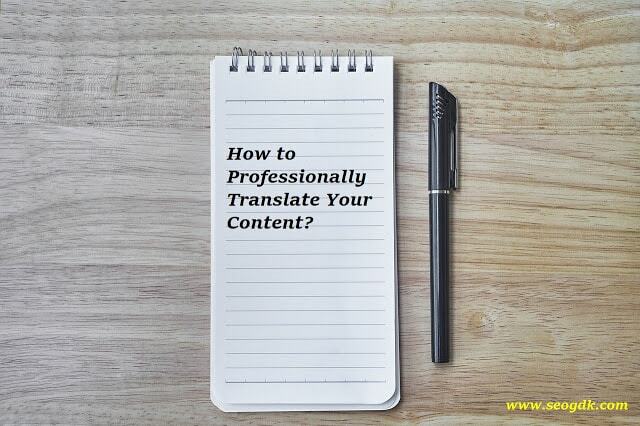 How to Professionally Translate Your Content? Attracting more visitors to your site is terribly complicated. You have to “convince” Google and other search engines that your site deserves featured on the first search results. Sadly, an army of webmasters wants the first search position for the same keywords as yours. The competition is harsh, and only a few reach the first positions. If you aren’t on the first page for the desired keywords, your site won’t attract many eyeballs, and as a result, you won’t generate the desired revenue. To get on the first page, you have two solutions: translate or create better content. The majority of marketers have focused intensively on creating compelling content. It’s not a bad strategy, but you have to invest serious resources to get the first position. On top of that, your competitors work hard to craft even better content than yours. Conversely, translating your content might be a more effective way of generating traffic. It’s not simple at all, but it pays off on the long-term perspective. However, content translation is easier said than done; it supposes more than an automatic translation. Your content must be error-free and adapted to users’ preferences. If you are interested in attracting more organic traffic through content translation, read the next lines carefully. Currently, 52.3% of all sites are in English. In 2011, 57.6% of the sites were in English. It might be an argument showing that marketers started to take into consideration other languages. Common Sense Advisory research reveals that 72% of customers would more likely buy from sites with content in their native language. You shouldn’t translate your content in all the languages. For instance, by translating your English content in Russian, German, Spanish, Japanese, and French, you reach almost 80% of all Internet users. The vast majority of plugins are for WordPress sites, but there are solutions for all major content management systems. Unfortunately, the quality translation lags behind the human work. Most likely, artificial intelligence will considerably improve the plugin translations. Translation plugins are suitable for small sites or personal projects. Weglot is one of the newcomers on the market of translation plugins, but 20,000 sites have already used it. Weglot works for WordPress, Shopify, BigCommerce, Jimdo, and Wix. You can create an account on Weglot site and start a 10-day trial to check its performances. The plugin comes with a lot of impressive features. First, the dashboard interface is user-friendly, even for people with limited Internet skills may use it. Second, the quality translation is acceptable. I translated English content to French and Romanian, and the output is above my expectations. Third, you can hire professional translators for reasonable prices directly from the dashboard. WPML is a massively used translator plugin, and the majority of users are satisfied with its quality. It’s suitable for multilingual sites, and it translates pages, posts, and menus in 40+ languages. The same as Weglot, you can hire professional experts directly from your dashboard. Unlike the previous plugins, Polylang is free of charge. You can buy Polylang Pro, Polylang for WooCommerce, and Polylang Pro for WooCommerce if you need extended functionality. Polylang empowers you to create multilingual sites and supports RTL languages. You can use an automatic or professional translation (aka human translators) by installing Lingotek Translation plugin. Apart from dictionaries or auxiliary tools for translators, there are a few worth mentioning web apps for translating texts. These are quite handy tools, but the translation quality is below standards. You can risk your reputation by using these tools. Consider using them only if a professional translator reviews the texts. Linguee, DeepL, and Reverso are some of the most appreciated online tools to translate your content. -A large offer. Lots of freelancers are ready to help you with content translation. Fiverr, Upwork, Freelancer, Guru are a few job board to find the best freelancers for your job. -Decent quality. Only a few freelancers do a great job and they ask for high prices. The idea is simple: if you pay peanuts, you get monkeys. -Uncertainty. On average, freelancers provide good services, but it might happen to miss deadlines, make deadly mistakes or do a poor translation. Hiring a freelancer for content translation is a double-edged sword. Reliable freelancers may deliver professional services and save much money. However, freelancers aren’t 100% reliable, so it’s risky to hire them if you really care about your business. Go for a freelancer only a partner or a friend recommend him/her. A translation agency is by far the most professional approach. It costs you much than a plugin or a freelancer, but the translation quality is undeniable. The translators are tested before hiring, and a professional translation agency has native translators for the most used languages. -Professional working environment. Usually, an agency has translation software, auxiliary tools, experts, and supervisors. On top of that, many years of experience. Certainly, you get value for the money you pay! 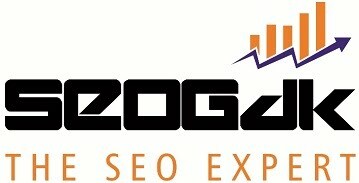 -SEO optimization. Professional translators know a thing or two about SEO. They will make your content SEO friendly and will take care of using the needed keywords. -Content Localization. Translating your content isn’t enough; it should be adapted to the culture and lifestyle of the consumers. Grammar-free content doesn’t guarantee plenty of sales. Only content that resonates with your readers will generate more revenue. Undoubtedly, experienced translators have the needed skills to polish your content in this way. Content translation is mandatory to scale up your business. I suggested you four modalities of translating it, but only an international translation services provider (aka translation agency) will professionally translate your content. If you are on a tight budget, consider hiring a freelancer, but pay attention to the previous works accomplished and clients’ reviews. Chose companies with good portfolios and reviews. Plugins and online tools might do decent work, but a human translator should review the translated content. Did you translate your content? Which method did you use? Please leave a comment with your opinions. Eugeniu Topolschi is a Digital Expert with a focus on identifying winning strategies for B2B & B2C companies. A digital marketer by day and a reader by night, he now strives to promote TRAVOD International - a language service provider helping companies tell their stories to people in Central and Eastern Europe in their native languages.